This panel brings together artists and leading figures in the digital preservation field for a discussion on the theory and practice of preserving the fragile cultural artifacts and artworks of the computer age. Participants include digital humanities scholars Matthew Kirschenbaum and Lori Emerson, and computer art pioneer Lillian Schwartz. Moderated by Ben Fino-Radin, Digital Conservator, Rhizome. Organized by Rhizome, a New Museum affiliate. Artist Lillian Schwartz began working with technological media in the mid-1960s with projects that included electronic mobiles and lightboxes containing moving fluid. In 1966, she became a member of the Experiments in Art and Technology Group, which fostered collaborations between artists and technologists. Her complex kinetic sculpture Proxima Centauri was included in the 1968 MoMA exhibition “The Machine as Seen at the End of the Mechanical Age.” Subsequently, she worked as a consultant at AT&T Bell Laboratories, IBM’s Thomas J. Watson Research Laboratory, and at Lucent Technologies Bell Labs Innovations. 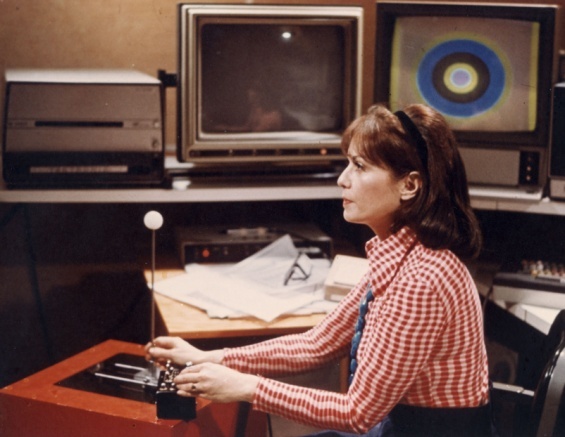 On her own, and with leading scientists, engineers, physicists, and psychologists, she developed effective techniques for the use of the computer in film and animation. Schwartz has also investigated the computer’s uses for art analysis and restoration. Lori Emerson is an Assistant Professor in the Department of English at the University of Colorado at Boulder. She writes on and teaches digital literature, experimental American and Canadian writing from the twentieth and twenty-first century, history of computing, and media theory. In addition to directing the Media Archaeology Lab, she is also currently working on two book projects: a monograph, Reading Writing Interfaces: From the Digital to the Bookbound (forthcoming from University of Minnesota Press, spring 2014), and The Johns Hopkins Guide to Digital Media, coedited with Marie-Laure Ryan and Benjamin Robertson (forthcoming 2014). Matthew G. Kirschenbaum is Associate Professor in the Department of English at the University of Maryland and Associate Director of the Maryland Institute for Technology in the Humanities (MITH, an applied think tank for the digital humanities). A 2011 Guggenheim Fellow, Kirschenbaum specializes in digital humanities, electronic literature and creative new media (including games), textual studies, and postmodern/experimental literature. His first book, Mechanisms: New Media and the Forensic Imagination, was published by the MIT Press in early 2008. He is currently at work on his next book, Track Changes: Authorship, Archives, and Literary Culture After Word Processing. Ben Fino-Radin is a New York–based media archaeologist and conservator of born-digital and computer-based works of contemporary art. He is in practice at Rhizome at the New Museum, as well as at MoMA’s Department of Conservation. At Rhizome, Fino-Radin leads the preservation and curation of the ArtBase, one of the oldest and most comprehensive collections of born-digital works of art. At MoMA, he oversees the Digital Repository for Museum Collections, and advises on the collection and preservation of digital artworks and design objects—including the recently acquired video games. Generous endowment support is provided by the Rockefeller Brothers Fund, the Skadden, Arps Education Programs Fund, and the William Randolph Hearst Endowed Fund for Education Programs at the New Museum. This program is made possible, in part, through the support of the New York State Council on the Arts and the New York City Department of Cultural Affairs.